Also might suggest applying the tiny ammount of super glue to the tool tip not the screw. If you accidently squeeze out too much the overflow can be cleaned off the tool and the glue reapplied much easier than it can be removed from the screw and the surrounding areas of the device. Alternately the surrounding areas can be masked from excess glue with a bit of transparent tape. How would you remove the screw from the driver? How do I clean of screw driver from the super glue? And how do I prevent or avoid that situation the next time? Mask the area so the small metal particles don't create a short. Even still use a few blasts of can'ed air to blow any junk away. 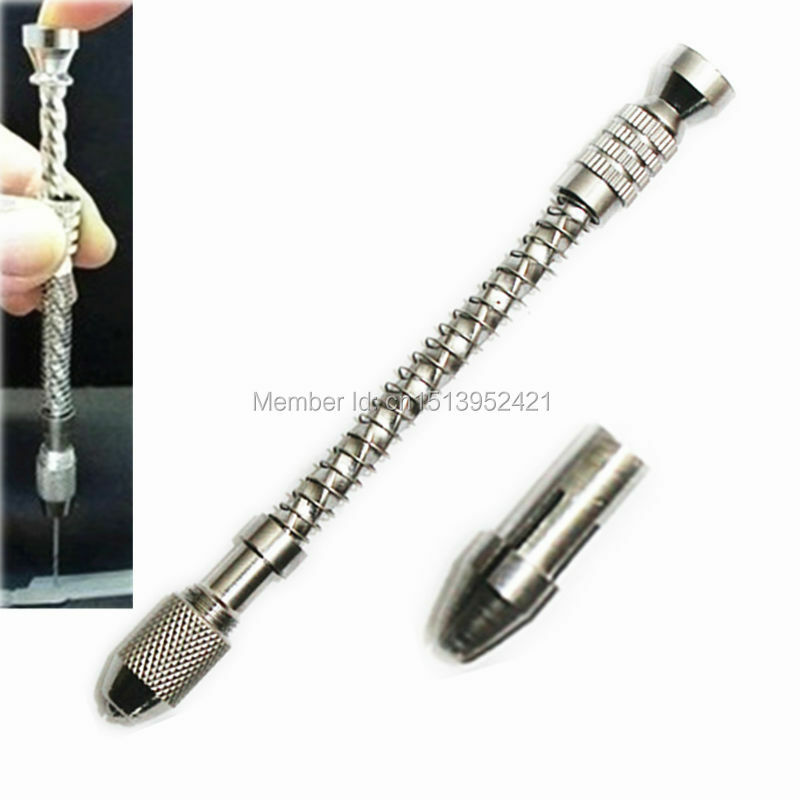 I usually use the soldering iron, resting on the screw head dilation of the materials or any glue on the thread, but if the damage the screw head is large only with the idea of ​​same rotary tool. But other than that, this could be useful in some situations. Be careful,of the iron filings on your electronics! Haha, good catch! We've fixed the conclusion. Apologies to all who tried so very hard to follow these instructions in reverse. There's always the ultimate tool if it won't go out, the drill. Of course you'll have to make new threads if you drill out a screw. However, as a "weapon of last resort", the drill always works. Thank you for this guide. The Vampliers, however, completely removed the head of my T6 screw. There are two of them holding the display to the top case of my 15'' Macbook Pro. I am on one of the last steps in the Top Case replacement guide. Can I use a drill if my screw has virtually no head? Using the rotary tool will spray metal filings all over the electronic components creating a short. Bad idea. But listing it as a last resort, for a device that is already broken and cannot be repaired until the stripped screw is removed, does fit this article. Metal shavings aren't making something that is already unusable worse off. Your observation that there are risks is probably something the article should mention though as part of the explanation for why this was listed last. Thanks for mentioning this! We added a cautionary note to the last step, reminding readers to blow out the device with compressed air before reassembly. That should help reduce the risk from loose metal shavings. The rubber band trick worked like a charm for me! I couldn't remove a sunken stripped and rounded out philips head from my tail light to change the bulb. I thought I was going to have to go to a shop to get the bulb changed. I tried the rubber band idea with no real expectation of it working and surprisingly it did. Give it a try and it might just work for you too! Came up with a better solution for the first or second try. Personally, I would do this first. The Story: Had a Canon G16 with a stripped screw head. Severely rounded phillips, appeared that wrong size driver was used. I noticed after a bit of inspection that my good screw driver was bottoming out, preventing any contact with any remaining slot. There wasn't much remaining slot at all. I filled off the point of my screw driver just a small amount but that let me "find" the remaining phillips head slots and with some strong pressure was able to turn the screw out. Worked great. See if you can slide a thin knife blade under the screw head and then carefully try to unscrew the screw (don't apply do much downward pressure here), as you turn the screw lift the knife edge easing out the screw until you can grab it. Hand operated micro drill, using a bit which is the same size as the hole the screw goes through. Just drill until the head of the screw pops off, clean up filings with a magnet. Once you've removed the part you can use pliers to remove the headless screw. This seems to be all regarding electronics. I have two screws that are stripped that hold small brackets on a wall. Previous owner of my home seemed to strip many screws. These screws are phillips and to top it off are not screwed in straight. I am remodeling my kitchen by myself and i am trying to repair all the holes in the wallboard. I would guess grabbing onto them with pliers might be the best idea. Any thoughts? Pliers should work! That's probably what I'd do. If you have trouble, there are screw extracting pliers made just for this purpose. what if the screw is stripped and inside a whole like a Nintendo 3ds and cant cut it and glue or rubber band didn't work?? exactly the problem i have. I even sent it to Nintendo, they sent it back and said Nope. See Tim Lockwood's comment above. When all else fails, a drill will get the job done. It can be a bit messy, so I usually use it as a last resort. Thanks for this guide. I didn't have a rubber band so I used some kitchen paper, and it worked. I guess anything that's thin, soft and have a descent amount of friction will work. Use PermaPoxy Kemisk Metall 50 g, Universal to glow a suitable l a r g e r screw - on top of the damaged screw! Perma Poxy Kemisk Metal. En 2-komponentsmassa med en konsistensliknande modellera. För reparation av gjutjärnsdetaljer, sprickor i motorblock, insug m m.
Tål temp. från -50°C till +150°C. Einfacher geht es wenn man eine mutter auf die schraube lötet und es damit rausdreht, aber gutes festes lot verwenden. More Easy to use soldering new Srew on the demage screw . Yet one more idea that might work is a trick I sometimes use on larger seized fasteners on cars. Using a very sharply pointed punch (like a sturdy nail which has been sharpened) and a small hammer, make an indentation in the screws head out close to the edge (hold the punch vertical for first few taps) then tilt the punch about 45 degrees and while keeping the point in the indentation tap in the correct direction to unscrew the fastener. Repeated impacts will unscrew the fastener. So, you get the screw out, now what? How do you get another screw to hold in a flogged out hole? Does anyone have any ideas? on a very small stripped screw (inside a mcbook pro) i tried the rubber band trick and the pliers one, without success. i remembered i bought a normal’ sized screw extracting kit (3 bits, this type: https://fr.aliexpress.com/item/New-4pc-H...) and gave it a try, even though the bit looked huge for the screw.. but it worked perfectly ! allowed me to finish mounting that ssd in place of the dvd drive in the macbook pro mid 2010. Thank you for this very helpfull post ! Another effective method is to hearing up the screw before you remove it. Yeah I'm taking apart a circumcision super action controller and somehow one of the screws was stripped in the factory.